Anuroop (Tony) Singh is Founder Director of The Quantum Institute for Wellbeing, an Intentional community promoting Holistic and Integrated approaches to Wellbeing (www.tqiw.org), a personal endeavour to give back to humanity. He qualified as a Chartered Accountant, has travelled widely and currently consults with socially responsible organizations across India, UAE, Europe and USA. He is an experienced business leader and has been an independent member on the Board of several leading companies. He has more than four decades of executive experience in the financial services sector, including two decades as Regional Chief Executive for various businesses including American Express, Bank of America, ANZ Grindlays Bank and New York Life. 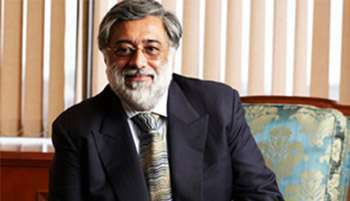 He has over 15 years of governance experience on the boards of several listed companies including Perot Systems, USA (www.perotsystems.com); Max India (www.maxindia.com),Max Bupa (www.maxbupa.com), Max New York Life (www.maxlifeinsurance.com), Development Credit Bank (www.dcbl.com) and served in various capacities as Chairman, Vice Chairman, and head of key committees including Risk, Audit and Human Resources In the Social sector Anuroop served as a member on the Board of Directors of SOS ChildrensVillages (www.soscvindia.org)Anuroop 62 is Married to Dr. Catherine Morice a professor of Mathematics at Paris, France, with a doctorate in Jain Mathematics and Cosmology.